All of this attention on the presidential race makes it easy to forget that there are other things happening in politics, too — the upcoming race for Speaker of the House, for instance. 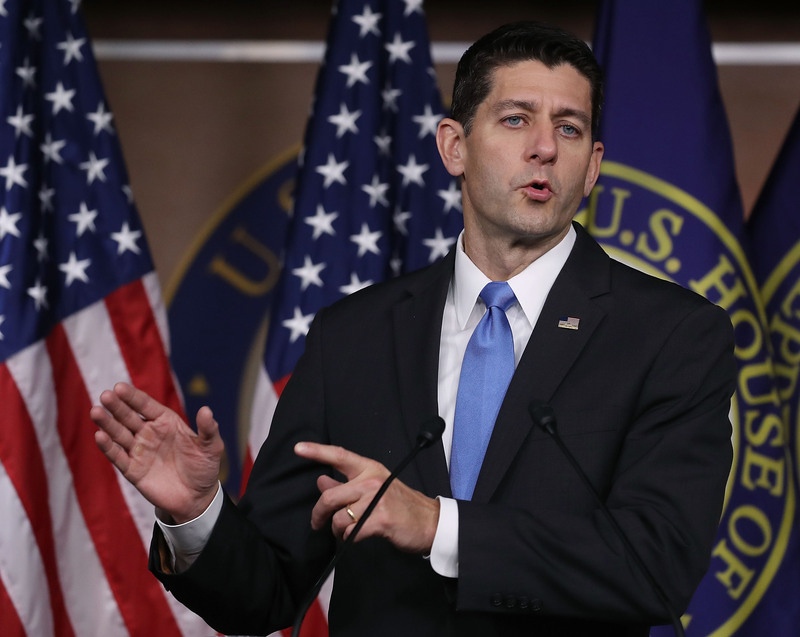 Most recently, Paul Ryan said he’ll run for Speaker again, but his chances of winning are tricky to suss out. And this isn't entirely because it’s unclear which party will control the chamber — Democrats almost certainly aren’t going to win the House this year. Instead, you can blame the uncertainty on the incredible internal divisions within the House Republican caucus. Leadership elections in Congress are always hard to predict. After all, they don’t conduct polls of the Republican congressmen. But this one will probably be even harder than normal, given how fractured House Republicans are. On the one side, there are the moderate Republicans, the types who are willing to cut a deal with Democrats when necessary. On the other, there is the House Freedom Caucus. That’s the Tea Party wing of the party— the kind of Republicans who criticize their own leadership, believe that Ryan isn’t conservative enough and like shutting down the government to make a point. This is a very big divide in the GOP, and it’s not at all clear that they’ll unite behind Ryan when he seeks a new term. We saw this dynamic play out in the weeks leading up to Ryan’s election as speaker in 2015. Republicans had a crisis on their hands after John Boehner, the then-Speaker, announced his retirement. In short, they couldn’t find someone else to take the job: Boehner’s heir-apparent lost his own congressional reelection, and then, the next-in-line abruptly dropped out of the Speaker’s race. Ryan stepped in to save the day, because it became clear that he was the only House Republican with enough support amongst both the moderates and the more intense conservatives in his party to win. He was elected speaker, but only after striking an agreement with the Freedom Caucus about some procedural rules in the House. The point is that Ryan cannot become Speaker without the support of the 36-ish House members who make up the Freedom Caucus. And it can’t be taken for granted that they’ll support him again. The Freedom Caucus did float a compromise wherein they’d promise to support Ryan for reelection as Speaker if a member of the Freedom Caucus is placed in a different leadership post in the House. But that plan has been divisive — both within the larger Republican House Caucus and within the Freedom Caucus itself. It’s simply impossible to say who will win the Speaker’s race at this point. Although the presidential election has consumed most of the media oxygen for the last year, House Republicans still have enormous internal problems that they haven’t fixed. How exactly these differences are reconciled will likely determine who the next Speaker is — but how those differences will be reconciled is, itself, a mystery.